Identive Group announced the launch of SmartCore, an RFID card core manufacturing technology that enables surface quality and printability of contactless ID and access cards. SmartCore card cores eliminate the need for chip enclosures and enable production of an even surface without bumps or irregular patterns. In the SmartCore process the integrated circuit (IC) and connection points to the antenna are completely encased to offer greater protection, improved durability and enhanced performance for contactless cards. SmartCore is ideal in numerous applications including identification badges, building and facility access cards, bank cards, loyalty cards and transit passes, among others. The durability of cards produced with SmartCore result in a long lifetime with stable performance, making them additionally well suited for high-use applications such as payment and transportation. 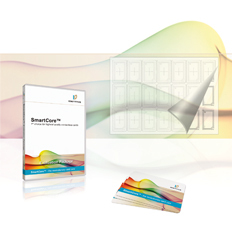 SmartCore card cores are a simple replacement for pre-laminated cores as no change is required to existing card production processes, and are available with a range of leading contactless smart card ICs.